1. Starting at the left side of the diagram we have a cube one unit by one unit. 2. 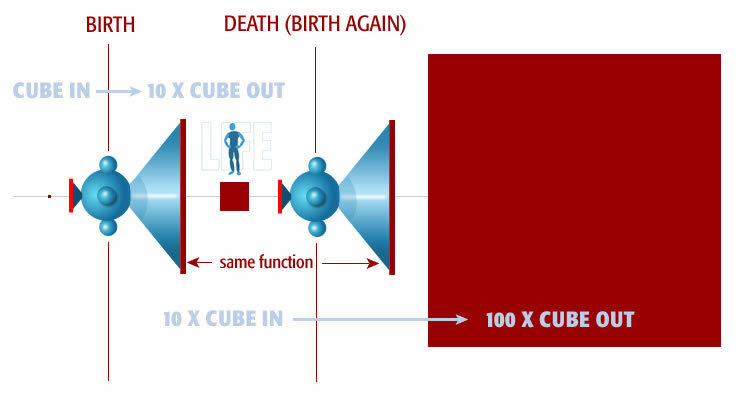 It passes through birth where it gets expanded 10 times to become a cube that is 10 units by 10 units. This is us during life between birth and death. This is what we are now. 3. Then cube passes through birth again, however this time it goes in as a 10 unit cube. 4. At death it gets multiplied 10 times again exactly like at birth. 5. This time it comes out as a cube 100 units x 100 units. This is the type of thinking you need to apply to afterlife. It is an expanding of life by the exact same ratio that took place it birth. Through death life gets BIGGER. 1. The ratio on the left includes what goes into birth on top divided by what comes out on the bottom. 2. The ratio on the right includes what goes into death on top. We do not know what comes out of death on the bottom. 3. However the two ratios are equal. Solving for the output side of death is simple. 1. On top, before birth, we have nothing. 2. On the bottom we have life with position in time and space. Life emanates from a position within time and space. 1. On top, before death, we have life with position in time and space. 2. The ratio on the right and left side of the equation are equal. 3. On the bottom, after death, is all of time and space. 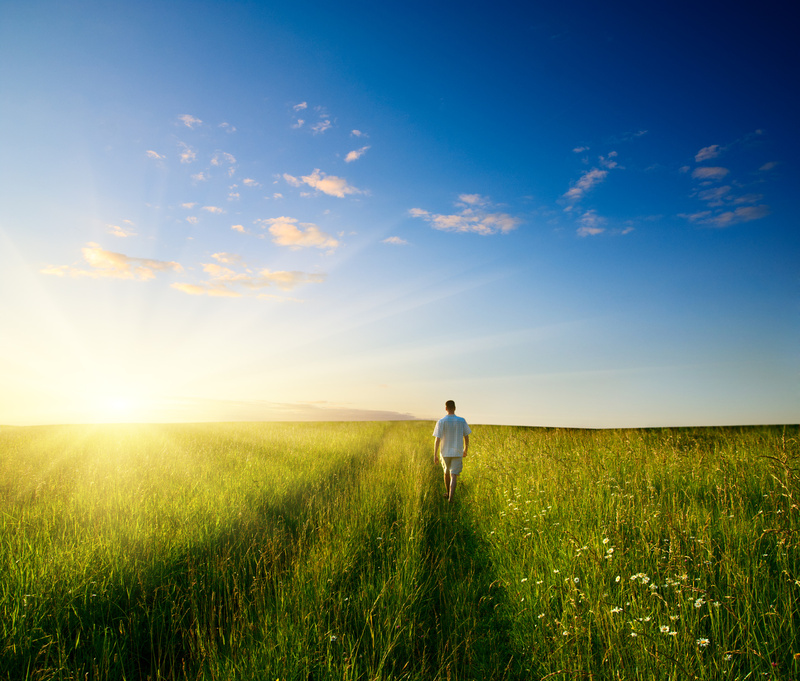 The output of death is the unbounded space and time that surrounded you during life. Afterlife is an explosion of life. It is an explosion of infinite magnitude. It happens the moment life ends. Infinite magnitude means that life explodes to become everything. Afterlife includes everything and everybody.